Yes To Carrots Super Rich Body Butter 4 Pack Only $9.99 Plus FREE Shipping! You are here: Home / Great Deals / Yes To Carrots Super Rich Body Butter 4 Pack Only $9.99 Plus FREE Shipping! 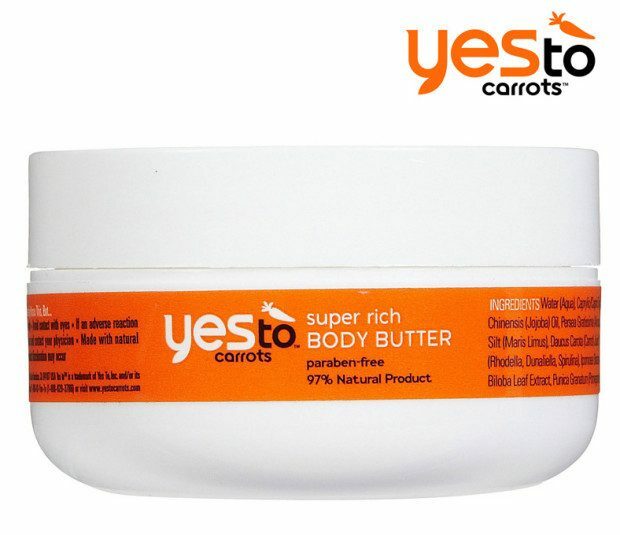 Here’s a great deal on Yes to Carrots body butter that you can share with your girlfriends! Our delectable Body Butter indulges your skin with a nourishing, rivitalizing and long-lasting moisture treatment that will leave your skin feeling smooth, soft and hydrated and you feeling amazing, naturally. Get this Yes To Carrots Super Rich Body Butter 4 Pack for Only $9.99 Plus FREE Shipping!